There are several bus stops located within a short walking distance of the Campus. The bus stop on Nether Road is 10 metres from the Campus, but while it is well lit and has timetable information. There are also scheduled bus timetable which pick up a drop off a short distance away on Tweed Road and also Abbotsford road. All contracted College Bus routes and Public Service routes carrying substantial numbers of students redirect their bus service via Nether Road or Tweed Road at peak times, (08.30-9.00 and 16.00-16.30), in order that students can be collected and delivered as close to the campus as possible. First Bus Service Route No 9 from Melrose to Galashiels Bus Station runs directly via the Campus at regular intervals between 07.30 and 16.00 and at other times via nearby Kingsknowes Roundabout Stop. Outside of peak hours bus routes from South and West (A7 South and Melrose By-pass) stop on Abbotsford Road and are easily accessible from the Campus via steps and a walk way. Bus routes from the East via Langlee stop on Melrose Road a short walk from the Campus. 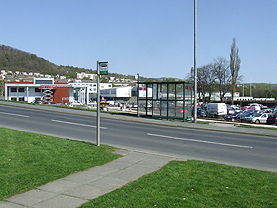 The First Bus Town Service (Langlee Circular Route) runs from the bus station in Galashiels to Woodstock Avenue which is a short walk from the campus over the Gala Water footbridge. 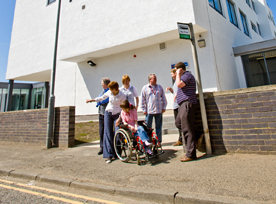 Staff and students coming from further afield are served by routes which either pass close by to the College or terminate at Galashiels bus station, from where connecting services to the College are available. See www.sestran.gov.uk for a regional bus map and route information. 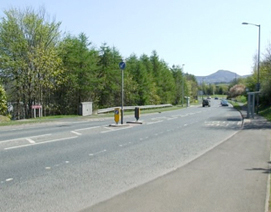 Staff and students coming from further afield are served by routes which either pass close by to the College or terminate at Galashiels bus station, from where connecting services to the College are available. Table 1 provides a summary of bus services – Regional bus routes serving Campus. To download this table click here (Adobe Reader).